Medical malpractice cases can often be the most difficult and expensive claims to pursue. The two central issues to determine in these cases are liability and damages. 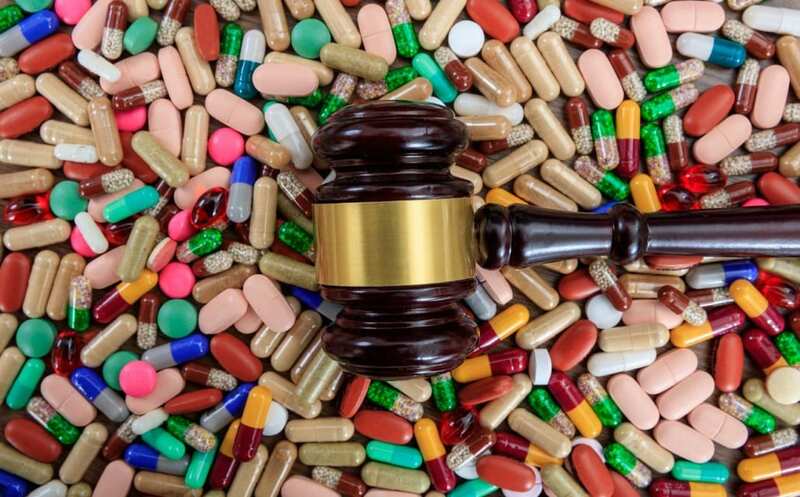 With respect to the issue of liability, as a plaintiff it is not enough to simply say that the outcome of a particular medical procedure was less than ideal or poor. In order to establish that a physician was liable, the plaintiff must prove that the defendant physician failed to provide care to his or her patient that the average physician of the same qualification in the same area would have provided to that patient. Furthermore, the plaintiff then must prove that as a result of the defendant physician being unable to meet the expected standard of care, the failure of doing so caused the patient damages. Falling below the expected standard of care can be established a number of different ways, depending on the particular case. 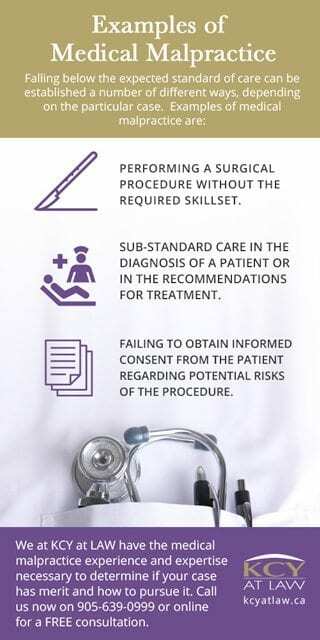 Examples of medical malpractice include performing a surgical procedure without the required skillset, sub-standard care in the diagnosis of a patient or in the recommendations for treatment, and/or failing to obtain informed consent from the patient regarding potential risks of the procedure. Once it has been proven that the defendant physician fell below the expected standard of care, it must then be shown that the breach in the standard of care, on a balance of probabilities, caused the plaintiff patient injury or loss. 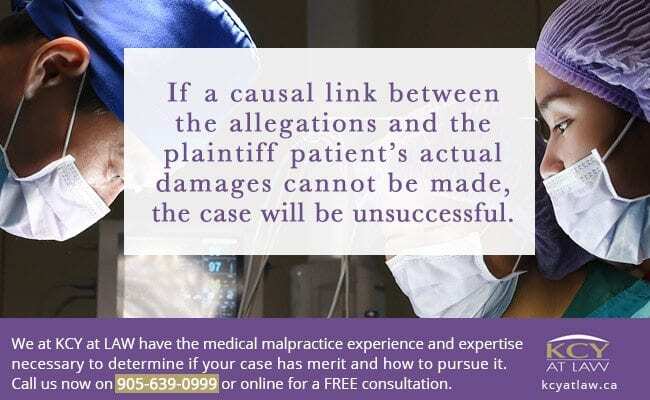 If a causal link between the allegations and the plaintiff patient’s actual damages cannot be made, the case will be unsuccessful. In order to prove that a physician fell below the standard of care and, as a result, caused the patient damages, the opinions of medical experts are necessary. These experts will review and analyze all relevant medical records, the history of events leading up to the cause of action, and the legal elements required to prove a successful claim. As such, it is important that these experts are recognized as being of the highest standard of credibility. Whatever the case may be, we at KCY at LAW have the medical malpractice experience and expertise necessary to determine if your case has merit and, if so, to what extent your injuries should be compensated. 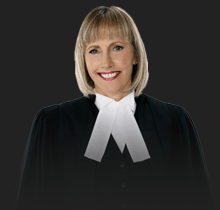 Contact KCY at LAW today at 905-639-0999 or contact us online to book a FREE consultation!